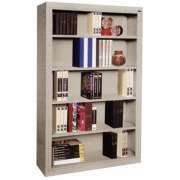 Looking for functional office bookcases? 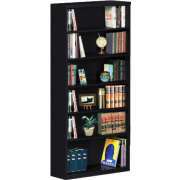 At Hertz Furniture we have office bookshelves that offer all of the features you want. Our models are available in a wide range of sizes, designs and styles, so you can coordinate your choices to current office decor or introduce a completely new design into your work space. How should an office bookshelf be organized? 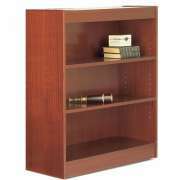 Our office bookcases are designed to keep your books and collectibles on display, in easy reach. 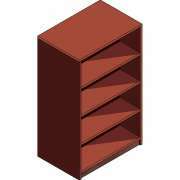 We have wood bookcases and metal bookshelves as well as laminates and veneers. Whatever your preferences and budgetary concerns are, you can find what you need at Hertz Furniture. 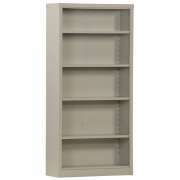 Should I get metal or wood bookcases for my office? Each bookshelf material has distinct advantages. 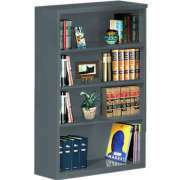 Steel bookcases are super sturdy and strong. 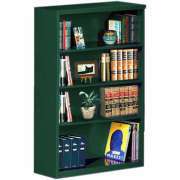 Their shelves have an incredible weight capacity which is especially useful if you want to support heavy encyclopedias or hardcover books. It is unlikely that they will get chipped or damaged, and they won&apos;t get bent out of shape with long-term use. 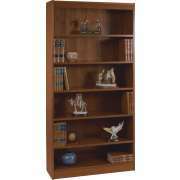 Solid wood bookcases are also very strong and have a natural appeal that is befitting a professional space. If you like the look of natural wood, but are looking for something that is a bit less pricey, laminate and wood veneers have the same visual appeal as solid wood but are available at more budget-friendly prices. However, if your budget can include solid wood, this option is always ideal because it will last longer and is more likely to stay in shape. 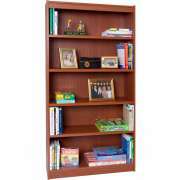 How can I fit my books on the bookcase? No matter which material you prefer and what you want to put on your office bookcases, adjustable shelving is always convenient. 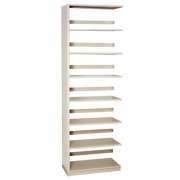 Books come in all different shapes and sizes, so you want to be sure that you can maximize your shelf capacities. 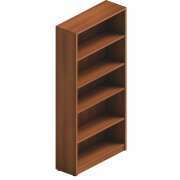 Make sure to check the weight capacity of each shelf in your bookcase. 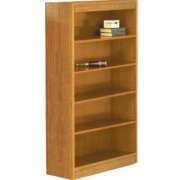 Some of our units are available with extra-strong excalibur shelves to support your heaviest books. Bookcases aren&apos;t all about open shelving. We have many models that offer more varied arrangements. If you want a combination of display space and covered storage, choose a unit that has shelving above with a cabinet below. 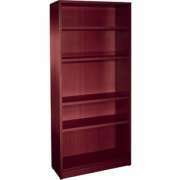 For a truly elegant setup, we have office bookcases with glass doors. This arrangement protects contents while keeping them on display. How do I choose the style of my office bookcase? In a professional setting, you need to consider more than just strength, arrangement and capacity. To ensure that your company projects a reliable and experienced image, it is important to coordinate every piece of furniture that is in your offices. 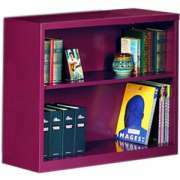 Make sure that bookcase colors match with the existing decor in your workspace. In order to have the most coordinated space possible, you can choose office bookshelves from the same office furniture collection as your executive desk and accessories. An attractive office does not have to be monochromatic. While ordering many pieces of office furniture in the same wood stain is one way to create a coordinated space, there are alternatives. Rather than having many pieces in the exact same hue, you can order a number of different stain colors that complement each other. This will add a bit of variety and diversity to the space. Elegant edge detailing can also add a stately flair. How many shelves do I need in my bookcase? 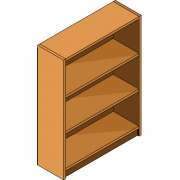 Bookcases come with different numbers of shelves. If you want to hold as many books as possible, you probably want floor-to-ceiling models. Corner units maximize all of the space in your office by using areas that are harder to fit things into. 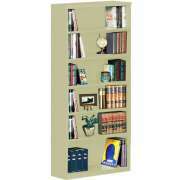 Low bookcases are a great choice if you just want to display a particular set or a few things. You can display pictures on the top surface of lower models and hang diplomas or artwork above them. 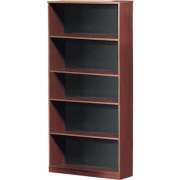 Choosing an office bookcase involves many factors and considerations. With Hertz Furniture&apos;s wide selection of attractive functional models, trying to figure out which model is ideal can be overwhelming. If you need help determining exactly what you are looking for or you are having trouble deciding between a few similar models, contact the Hertz Design Center for free consultations and project-planning advice.